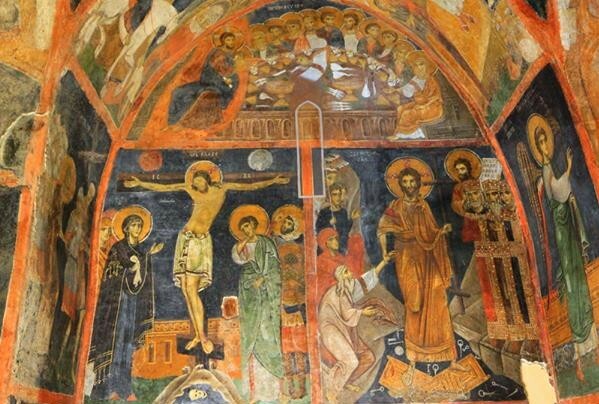 The mural of the crucifixion of Jesus Christ is one of the 240 murals in the Boyana Church dating back to 1259 AD. 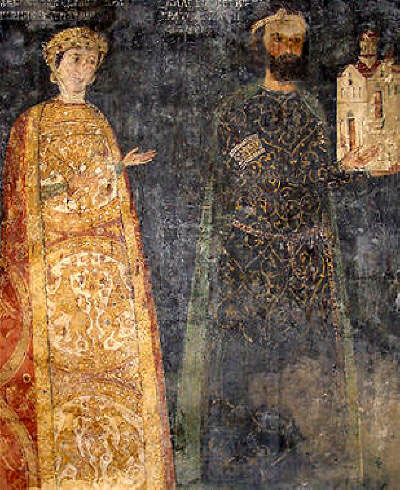 It is these murals have led UNESCO to declare Sofia’s Boyana Church a World Heritage site, and many scholars to describe it as an example of Early Renaissance art. The description of the crucifix mural as the best of its kind actually belongs to French-Russian historian and archaeologist Andre Grabar (1896-1990), curator Belcho Belev has told the Bulgarian information agency Focus. “Bulgaria has a total of 43,000 monuments of culture but only 7 of them are UNESCO World Heritage sites. The Boyana Church is one of them; it is only 7 km away from the downtown of Sofia. It is sort-of a business card not just for the Bulgarian capital but also for Bulgarian culture," Belev is quoted as saying. “The murals are outstanding. Prof. Andre Grabar, a French archaeologist specializing in Byzantium, says the Boyana [Church] is the most valuable Bulgarian contribution to world medieval art. Its purity and harmonic balance of forms is striking," he adds. The Boyana Church, which has been visited by tourists as a museum since 1977, is a UNESCO World Heritage site since 1979. It features construction and frescoes from different time periods starting in the 10th century; its murals were restored several times between 1912 and 2006. It has been operating as a museum as part of Bulgaria’s National Museum of History since 2003, with visiting hours every day between 9:30 am and 5:30 pm.